Michigan Airbnb hosts collectively earned $78 million in supplemental income and welcomed about 600,000 guests in 2018. The company also announced it is complementing, not competing with, the state’s hotel industry. Pure Michigan, the state’s travel and tourism website, most recent report shows steady growth in Michigan hotel occupancy rates, daily prices, and revenue. 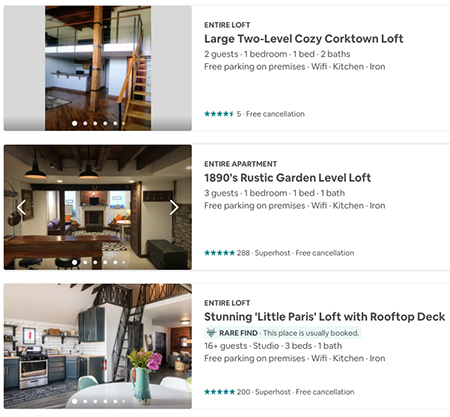 Airbnb says this suggests that its offerings are opening the state to a new slice of tourists who are less able to afford hotels or want to stay in areas without hotels. There are more than 7,600 Airbnb hosts in the state, and each typically earns about $6,300 annually. Hosts open their personal properties to visitors. The state is also generating new revenue through a tax agreement with the Michigan Treasury Department announced in 2017 that allows Airbnb to collect and remit the Michigan state use tax on behalf of its hosts. Airbnb announced earlier this year that it delivered $4.2 million in tax revenue to the state in the first year of the tax agreement, exceeding initial projections. Airbnb also announced new tax agreements in 2018 with Genesee and Kent counties to collect and remit their lodging taxes on behalf of local hosts. The home-sharing community offers expanded lodging capacity when hotels sell out during big events, including college football weekends, Detroit-area concerts and festivals, major events like Movement over Memorial Day weekend, and summer tourists, especially for lakefront communities during the summer. Airbnb also expanded its “Experiences” throughout the state in 2018, offering activities led by local experts. The program is expected to expand further in Michigan in 2019. Ranked by host income, Wayne County saw the most guests (80,000) and the highest income ($9.2 million). Washtenaw County came in third with 42,000 guests and $6.7 million in host income, while Oakland County came in fifth with 29,000 guests bringing $4.7 million in income. Macomb was 25th on the list, bringing in $550,000 from 3,800 guests. Airbnb was founded in 2008. The company offers access to more than 5 million places to stay in more than 81,000 cities and 191 countries. Its Experiences program offers 15,000 activities run by hosts across more than 1,000 cities globally.